Consumer experience is critical to building highly effective brand relationships with them. 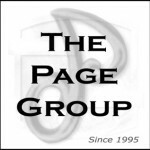 The Page Group has always worked on understanding how the consumer connects with your company, products, and services in developing programs that are effective in sustaining long term brand relationships. Adobe’s presentation at the Adobe Summit gets into the logic of building highly effective consumer experience as a core element of success in building strong brand connections with consumers. By understanding the consumers needs, and building towards a better consumer experience with your brand you may achieve a longer lasting successful brand relationship with them. By building strategies driven off of the behavior of your consumer and that connection they have with your company, and products, you can build effective platforms that sustain and maintain strong brand relationships with them. Marketing is on a reinvention journey, the first step of which is a stronger focus on customer experience across the entire organization, according to the keynote session this morning at the Adobe Summit, in Salt Lake City, where almost 7,000 digital marketers are in attendance. Consumers want instant access to information on whatever device they choose. Marketing doesn’t end when a brand finds the right audience or when someone clicks and buys the product. “Consistent” and “continuous” are the two words that describe customer expectations today. According to Narayen, customer expectations for personalization are raising the bar for marketers. Brad Rencher, senior vice president and general manager of the digital marketing business unit at Adobe, told attendees that “the digital reality is that the customer experience has become the brand.” Because of that, he said, enterprises are forced to reorganize in order to portray themselves seamlessly across channels. Consumers want instant access to information on whatever device they choose. “Consistent and continuous,” Rencher said, are the two words that describe customer expectations today. Marketers must know the customer, love him or her, and respect the history they have with that individual, Rencher said. Marketing doesn’t end when a brand finds the right audience or when someone clicks and buys the product, he told the packed audience at the Salt Palace Convention Center. All customer touchpoints need to abide by direct marketing principles. By way of illustration, Rencher introduced Laurie Buckingham, chief development officer at Coca-Cola, to talk about how that company is creating experiences far beyond typical marketing. Since its launch in 1892, Coca-Cola, time and again, has worked to remain relevant to new generations of consumers. According to Buckingham, the company’s mission today is to create “moments of happiness” through digital and other experiences. According to Buckingham, Coke’s internal motto for experiences is that they must be “liquid and linked,” meaning they flow like water and aren’t controlled by the brand. Instead, Coke listens to its fans to create happy experiences. In that sense, digital plays a role in building lifetime value, Buckingham said. One example of such an experience is Coke’s “Small-World Machine,” which was set up in malls in Pakistan and India–two parts of the world that have been fighting for centuries. The machines provided a live communications portal and showed that what unites us is stronger than what sets us apart. The key to engaging through the machines was simple: People could complete a task, such as touching hands, drawing peace, love, and happiness symbols–together.